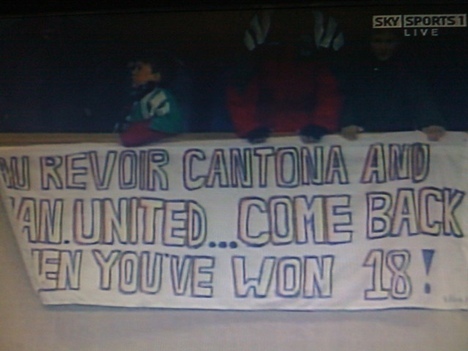 Liverpool fans: Come back when you’ve won 18! Now who’ll be the first to 19? Hmm, I know who my money’s on (United, if that wasn’t already clear). As a supporter of the pathetic Tottenham; laughing-stock of the Premier League, you’re hardly in a position to judge the performance of Liverpool. Come to think of it, you’re not in a position to comment on the top four, considering your inexperience with anything higher than a 5th placed finish! Henceforth, please refrain from opening your fat gob to criticize Liverpool, until you become acquainted with some silverware. You bitter Yid! Yeah, that’s how it should work. Only fans of certain teams should be allowed to comment on the top four. A statement like “I think Man U will reach 19 Premiership titles before Liverpool” is completely ridiculous if you support Spurs.